Episode #53: Yo! 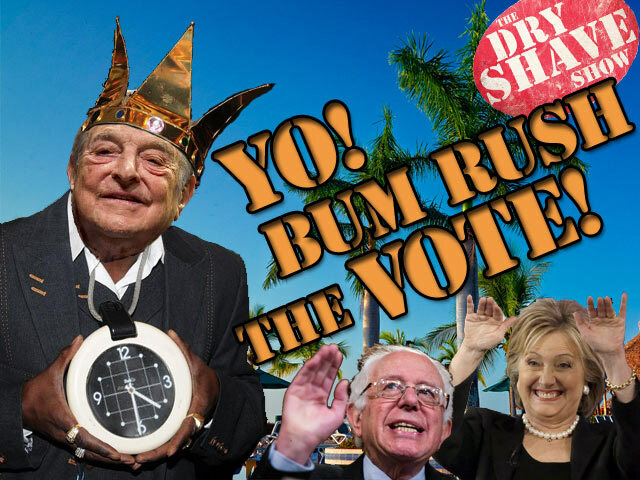 Bum Rush the Vote! Byron’s ear worries continue while Ivan brings us up to speed on the Panama Papers leaks and links to George Soros. The guys also discuss Ted Cruz’s connections to Goldman Sachs and Bernie Sanders’ corporate campaign donors. Also: news stories about a lonely Thai actress, Justin Trudeau’s stupid socks and feminist memes, police warnings to ‘think before you post’ online, Hillary Clinton’s faux pas wherein she referred to ‘unborn persons’, and we wrap things up with Stephen Hawking’s favourite pick up lines.